Federal definitions of elder abuse first appeared in the 1987 Amendments to the Older Americans Act, however, these definitions are guidelines. Each state defines elder abuse according to its unique statutes and regulations, and definitions vary from state to state. Researchers also use varying definitions to describe and study the problem. Domestic elder abuse generally refers to any of the following types of mistreatment that are committed by someone with whom the elder has a special relationship (for example, a spouse, sibling, child, friend, or caregiver). Institutional abuse generally refers to any of the following types of mistreatment occurring in residential facilities (such as a nursing home, assisted living facility, group home, board and care facility, foster home, etc.) and is usually perpetrated by someone with a legal or contractual obligation to provide some element of care or protection. Physical Abuse—Inflicting, or threatening to inflict, physical pain or injury on a vulnerable elder, or depriving them of a basic need. Emotional Abuse—Inflicting mental pain, anguish, or distress on an elder person through verbal or nonverbal acts. Sexual Abuse—Non-consensual sexual contact of any kind, coercing an elder to witness sexual behaviors. Exploitation—Illegal taking, misuse, or concealment of funds, property, or assets of a vulnerable elder. Neglect—Refusal or failure by those responsible to provide food, shelter, health care or protection for a vulnerable elder. Abandonment—The desertion of a vulnerable elder by anyone who has assumed the responsibility for care or custody of that person. Although there are distinct types of abuse defined, it is not uncommon for an elder to experience more than one type of mistreatment at the same or different times. For example, a person financially exploiting an elder may also be neglecting to provide appropriate care, food, medication, etc. 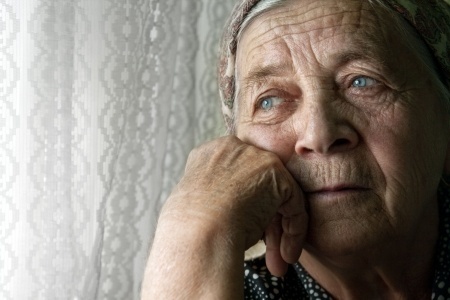 How can I help stop elder abuse and neglect?